Dr. Cory O. Williams, Sr. is the Senior Pastor of the Piney Grove Baptist Church in Sandy Springs, South Carolina. He is married to the very lovely and anointed First Lady Andrea Williams. He has three daughters and two sons. He is a loving father, husband, leader, friend, counselor, an anointed preacher and teacher of the Word of God. Rev. Dr. Williams was birthed under the anointed leadership of Bishop Terry McCaskill, Sr. of the Mt. Sinai World Outreach Ministry. Dr. Williams served in various capacities of leadership while an Elder at Mt. Sinai World Outreach Ministry. He is a man of wisdom and an educated individual, as he has earned various degrees. He earned a BA degree in psychology from Southern Wesleyan University; and M. Ed from Clemson University; and a Doctor of Ministry in Biblical Studies in Pastoral Ministry from Master’s International School of Divinity. Dr. Williams has been blessed to travel oversees to England to Oxford and Cambridge Universities. Dr. Williams is a member of Omega Psi Phi Fraternity, Incorporated. Some of his noted accomplishments are the National Minority Scholarship Award Nominee; he received a Fellowship Scholarship from Clemson University; he is a graduate of the South Carolina Governor’s Excel Leadership Institute under the leadership of Governor Jim Hodges; and he received All Conference Awards in college basketball. He is very involved with various boards and committees within his community. He is an active member and the past President of the Southern Wesleyan University Alumni Board of Directors. He is a member of the United Way African American Leadership Council. He is a former Vice President and professor of the Mt. Sinai Bible College. He is the past President of the Enoree River Congress of Christian Education. He has been a member of the We Stand for Kids Board of Directors and the Men at Work Committee. 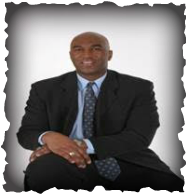 Dr. Williams is the visionary and Executive Director of the Early Action in Restoring Souls Youth Enrichment Ministry. This ministry aids in meeting the holistic needs of the Anderson County youth through Mentoring, Tutoring, Summer Enrichment Academic Camps, Basketball Camps, Counseling, Etc. Most of all Dr. Williams loves the Lord and he will let nothing, absolutely nothing separate him from the love of God which is in Christ Jesus.